The 5th Annual Krista-Marie Touch of Love Charity 5K – The Krista-Marie Touch of Love Charity, Inc. 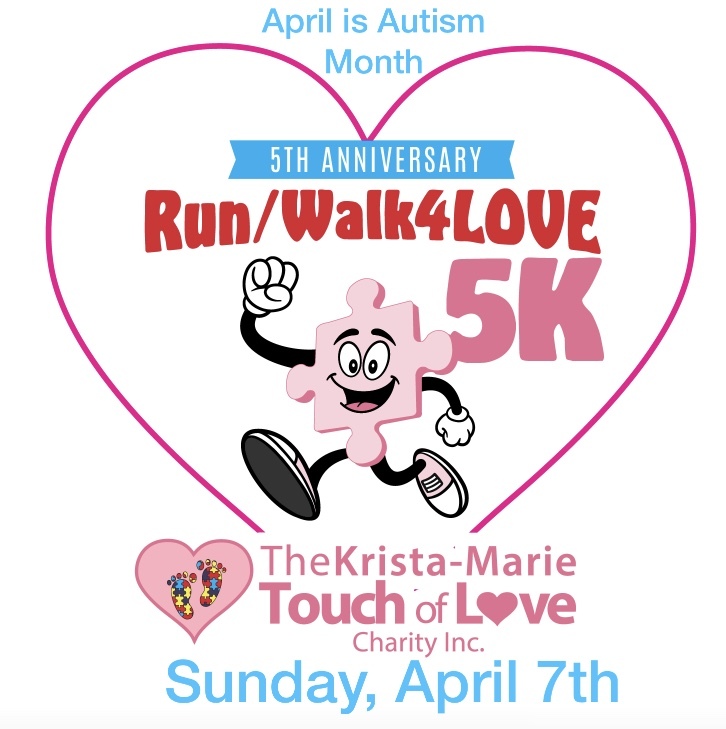 Together we will Run/Walk4LOVE to help raise educational and therapy funds for children diagnosed with Autism and related disorders. Please join us again for this life embracing event. In memory of Krista-Marie may we will always remember her unconditional love towards the people whose hearts she touched. FREE Event Run/Walk4LOVE to the first 500 registered! Finisher Medals, Age Gender Medals & Prizes!